Canon have finally rewarded their loyal fans by jumping on the full-frame mirrorless bandwagon with a radically new camera and, perhaps even more importantly, a completely new lens mount. The EOS R isn't the best full-frame camera on the market, but the EOS R system as a whole certainly has a lot of potential. As a first generation product, the EOS R is a solid entry to the still fledgling full frame mirrorless market, but ultimately it falls short of both the incumbent manufacturer, Sony, and the other new entrant, Nikon. 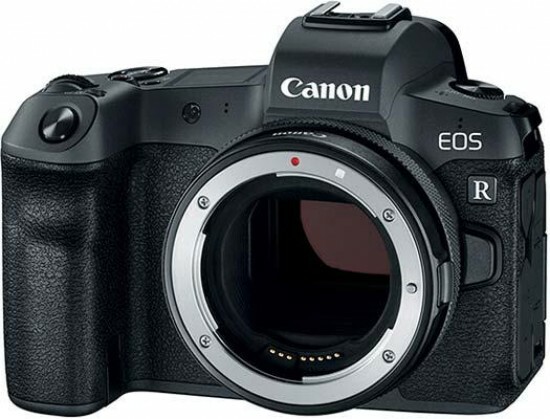 If you've got a vested interest in Canon's DSLR range, with a lot of expensive EF glass in your lens cupboard, then the EOS R is a logical enough step into mirrorless that's certainly capable of delivering the same high image quality as the company's DSLRs. On the other hand, if you're looking to upgrade from a cheaper Canon DSLR and kit lens, or you've made the decision to move completely from DSLR to mirrorless, then the Nikon Z6 and particularly the Sony A7 III are both cheaper and more capable alternatives. In particular, the lack of IBIS on the Canon EOS R puts it at a distinct disadvantage, as does the rather curtailed 4K video mode and questionable design decisions, including the lack of an AF joystick, single card slot, curious M-Fn bar and lack of a shooting mode dial. The new RF lenses are the real star of the show, especially the 50mm f/1.2 and 24-70mm f/2. They may be big, but they're also fast, faster than any of their rivals, DSLR or otherwise. And they also show where Canon wants to take its new mirrorless system, aiming for quality at the expense of compactness.